While there is a wide range of opportunities for recycled post-consumer carpet material, a significant amount – up to 30 percent – is used to produce new carpet face fiber and backings. Aquafil USA, a CARE partner, is one of the leading manufacturers of recycled and recyclable carpet fibers. The Aquafil Group is a leading global manufacturer of Nylon 6 fibers and polymers, as well as Nylon 6.6, Dryarn and XLA, while Aquafil USA primarily focuses on the manufacturing of Nylon 6 fibers. Notably, Aquafil manufacturers ECONYL, a unique brand of fiber made from 100 percent regenerated content containing both post-industrial and post-consumer waste. Recognizing a need for a sustainable solution for carpet waste and the recovery of raw material, the Aquafil Group created the ECONYL Regeneration System. The ECONYL Regeneration System is based on sustainable chemistry. During this process, Nylon contained in post-consumer carpet, as well as other materials such as clothing and fishing nets, is transformed back into raw materials without any loss of quality. The raw material is then used to create new BCF (bulk continuous filament) products with the same quality. BCF fibers create synthetic floor coverings, including on list of materials eligible for LEED points, automotive interiors like car upholstery, carpeting and mats from wide variety of manufacturers. New BCF products created through this are fully and endlessly regenerable, so they may reenter the regeneration system at the end of every useable life. Currently, the ECONYL Regeneration System is exclusive to Aquafil’s Julon d.d. plant in Slovenia, but the ultimate goal is to duplicate its depolymerization capabilities in the United States. In the meantime, Aquafil USA facilities are contributing to the Group’s regeneration system on a daily basis. The carpet shearing and shredding machines installed at Aquafil USA during the fall of 2014 play a vital role in contributing post-consumer waste. Operating at full capacity, Aquafil’s recovery efforts in the U.S. will provide more than 2 million pounds of sheared and shredded carpet fluff per year to the regeneration system. Floor Covering Weekly recently spotlighted CARE’s education and outreach efforts to promote the collection of PC carpet. Take a look at the article below authored by FCW’s Janet Herlihy. Most residential consumers are not as educated as commercial specifiers and end users about carpet sustainability issues and recycling postconsumer (PC) carpet, according to Dr. Bob Peoples, executive director of the Carpet America Recovery Effort (CARE). “So the dealer has an important role in educating consumers, but may not be themselves prepared to do that. Some retailers can say that they recycle, but cannot answer more detailed questions,” Peoples noted. CARE would like to do more in this area of education and outreach, and has begun that process in California. A lot of information is available on the CARE website, www.carpetrecovery.org. “The carpet manufacturers are in a great position to help, and CARE will do whatever we can to connect the dealer with a local recycler. CARE could also prepare a packet of information that a carpet rep could take to the dealer about the collection of PC carpet,” Peoples added. Don’t Miss the 13th Annual CARE Conference! The CARE 13th Annual Conference will be held May 13-14, 2015 at the Hilton New Orleans Riverside, New Orleans, LA. Attendees will have the opportunity to discuss innovations made in the carpet recycling industry, learn about new and existing products that are produced with post-consumer carpet, developments in the carpet industry, the new VPS program and more! Click here to see our discounted rates for early registration. Click here for discounted hotel rates at the Hilton New Orleans Riverside. David Crowe is Chief Economist and Senior Vice President at the National Association of Home Builders (NAHB). 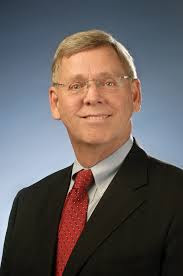 Dr. Crowe is responsible for NAHB’s forecast of housing and economic trends, survey research and analysis of the home building industry and consumer preferences as well as microeconomic analysis of government policies that affect housing. He is also responsible for the development and implementation of an innovative model of the local economic impact and fiscal cost of new home construction, which has estimated the net impact of new housing in over 500 local markets. Past research has concentrated on home ownership trends, tax issues, demographics, government mortgage insurance, local land use ordinance impacts and the impacts of housing on local economies. Before becoming NAHB’s Chief Economist, Dr. Crowe was NAHB’s Senior Vice President for Regulatory and Housing Policy. Prior to NAHB, Dr. Crowe was Deputy Director of the Division of Housing and Demographic Analysis at the U.S. Department of Housing and Urban Development. Exhibit at the CARE Annual Conference to gain more exposure to customers than ever before! This year, exhibitors will be offered multiple opportunities to meet and interact with end users, with specific time set aside for both networking and concrete small group sales contract. Logo recognition on presentation slide during all general sessions. If you are interested in being an exhibitor, please contact Anthony Cline at acline@carpetrecovery.org. As of April 1, 2015, the Carpet Stewardship Assessment on all carpet sold into the state of California will increase from $0.05/sq. yd. to $0.10/sq. yd. This month Carpet America Recovery Effort (CARE) staff will present details on the assessment increase via webinar on March 12, 1:00pm Pacific and March 18, 10:00am Pacific. Please join us! CARE staff will address these and other Program changes, answer your Program questions, and discuss how your efforts are helping to increase carpet recycling in the state of California. 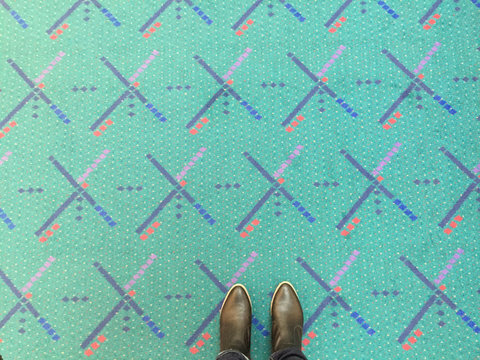 Travelers typically pay little attention to the flooring as they pass through airport terminals, with one exception: the carpet at Portland International Airport (PDX) in Oregon. The 25-year-old teal carpet has gained Internet fame in recent years and is now considered a local icon. Now stained and fraying, PDX has started the year-long process of replacing the carpet. More than 13 acres of carpet will be removed, but it won’t be headed to a landfill. After receiving many requests for leftover carpet, the airport plans to give away some of the salvageable rug. Local businesses will be able to apply online to pick up free 1,000-square-yard bundles of carpet pieces in the spring. Other carpet will most likely be cut into doormat-size sections and used in airport promotions, while the rest will be recycled. Even better, the new broadloom being installed at PDX is made with materials from recycled carpet, soda bottles and plastic jars. To learn more about the famous carpet, read the complete article in The New York Times.